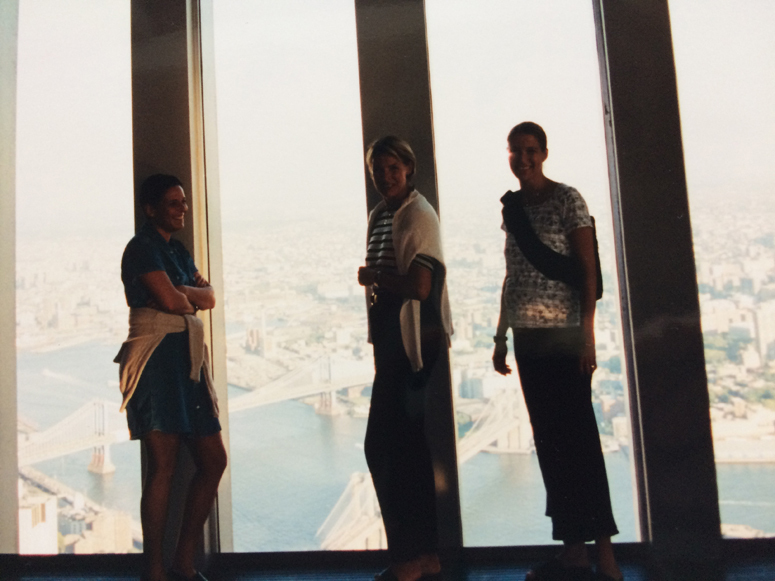 unforgettable trip to NY with my daughters. foto: we had a drink at the hihgest bar of the world. The little story biside has been, my son in law had´nt the right shoes. He went into the shoe shop at the groundfloor and the very kind salesclerc lended him new shoes to cross the floor and use the elvater! We had great fun when we gave back the schoes and the next day we came back and we all bought new shoes!